Avinash Sachdev is back on small screen with & TV's supernatural show, Main Bhi Ardhangini. The actor has a huge fandom and they can go to any length to see their favourite star. The actor made headlines for his divorce with actress Shalmalee Desai in November 2017. Well, it seems that while his professional life is rolling on smoothly with the recently launched show, the actor has found love again. At least his recent post hints at it. He posted a picture with Palak Purswani and wrote, "Sometimes i wonder how you put up with me, but then I remember oh i put up with you. So we're even! "[sic] On the other hand, Palak also shared another picture from their date night and wrote, "Admit it..
#Dinnerdoneright '"[sic] While we were wondering if something is surely brewing between the two, we spotted Deepshikha Nagpal's comment on Avinash's post. She wrote, "You both look sweet together. God Bless"
We went a little digging and figured out that Palak will be soon seen in ALT Balaji's upcoming show, Dil Hi Toh Hai season 2, starring Yogita Bihani and Karan Kundrra in lead roles. She has been also ex Splitsvilla contestant in season 7, 2014. She is a model turned actress and is brought up in Nagpur. Not only that during her college days she participated in a beauty pageant for which she was chosen for INIFD (Fashion Academy). Post her studies she moved to Mumbai to pursue her career in glamour world. She made her debut in 2015 with Badii Devrani. She has also appeared in TV shows like Nastik, Bade Bhaiyaa Ki Dulhania, Meri Hanikarak Biwi and others. Moreover, at one point of time, it was rumoured that she was dating Ek Astha Aisi Bhi co-actor Kanwar Dhillon. Though Avinash has been not vocal about their relationship, Palak has been sharing their pictures since some time now. We can't wait to see the lovebirds make it official. Main Bhi Ardhangini actors Avinash Sachdev and Anjali Priya HOSPITALIZED! Main Bhi Ardhangini actress Deepshika Nagpal TURNS Singer and Director for her Next! 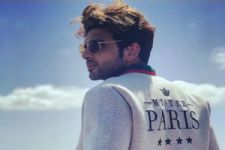 Karan Kundrra's Hawaii Vacation is Instagram Perfect! THIS Dil Hi Toh Hai actor joins the cast of ALT Balaji's Medically Yours! Shakti Arora's LAVISH Get Away!